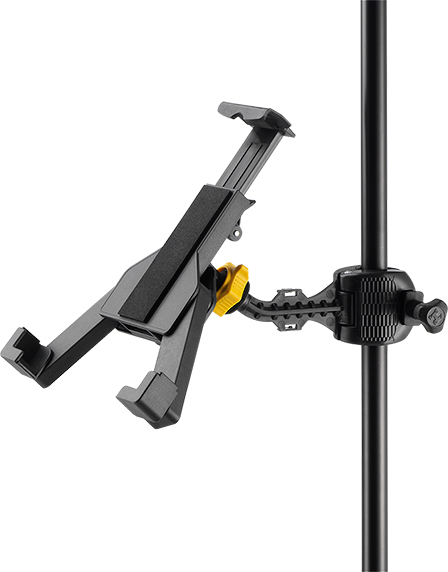 The arms adjust easily and quickly and are suitable for 7" - 12.1" tablets measuring up to 235 mm (9.25") W x 280 mm (11") H.
The HERCULES Smartphone Holder DG200Bs versatile design accommodates all smartphone devices from 43.5 mm to 90 mm (1.7" - 3.5"). Fits all smartphones or devices of width from 43.5 mm - 90 mm (1.7"~3.5"). 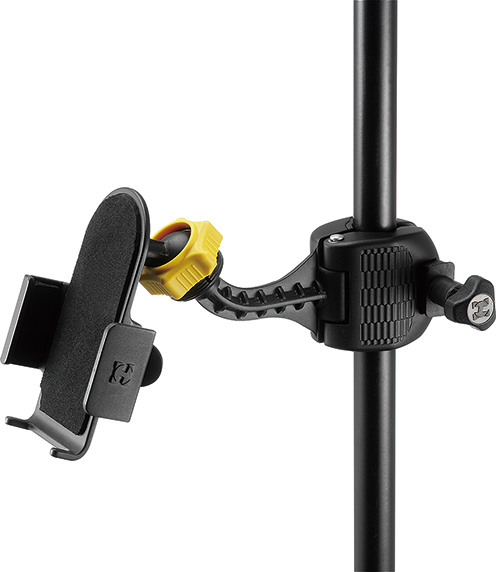 360° Ball-joint Design adjusts a full 360°angle easily. Fits round tubes of 15.8 mm - 25.4 mm (0.62"~1") and square tubes of 19 mm (0.75"). Adjusts easily for perfect height and angle. 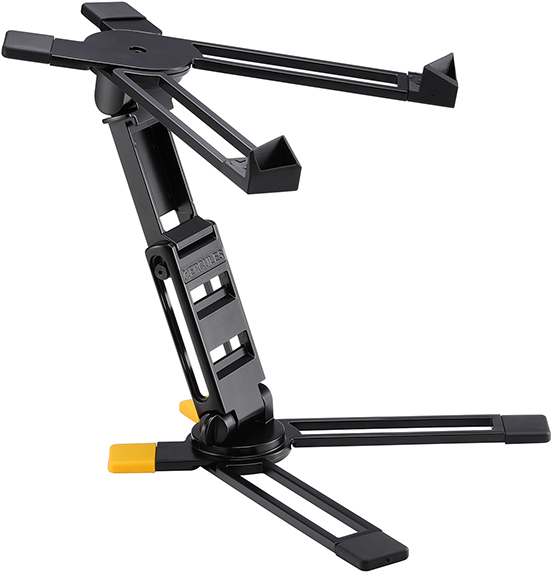 Extra Rear-legs provide solid worry-free support to your laptops up to 10kg (22 lbs.). One-piece Design sets-up and tears down easily and quickly. Convenient carry bag included protects the stand and goes where you go.